For this artist’s website, I wanted a design that really complemented the artwork. All the initial art working was produced using Photoshop. I decided to try and steer clear of a Flash site, and built the whole site in HTML using Dreamweaver. 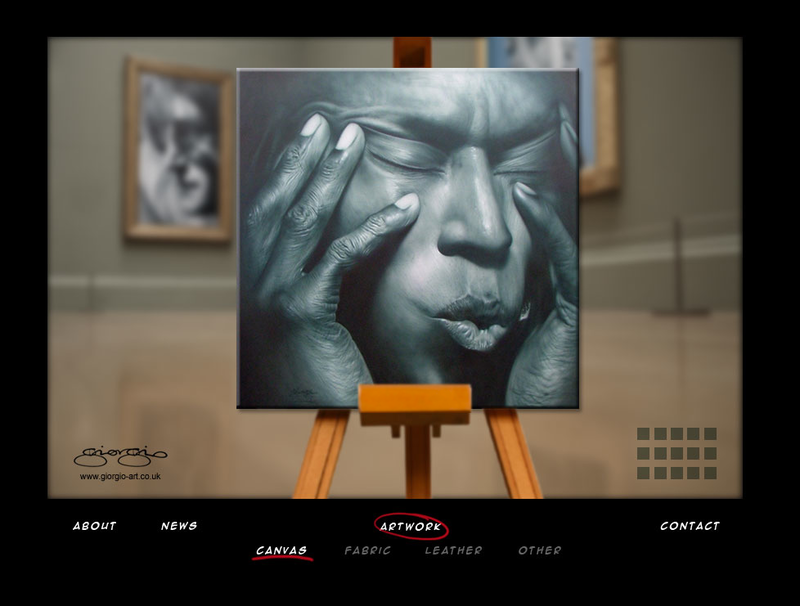 This site is still in progress as the only the Canvas section of the Artwork has been fully implemented. The other pieces of artwork are displayed when the user rolls over the square grid in the lower right of the frame. This entry was posted in Interactive, Web Design and tagged Dreamweaver, html, Photoshop by marco uccellini. Bookmark the permalink.